International IT Company in India. Beginning as a call center to a full fledged BPO and KPO company. The site is designed in such a manner so as to provide details insight into the various work options available. Each of the options is highlighted with respective images thus giving the site a feel good look. Light colour used to design the site made the site look more attractive and decent. 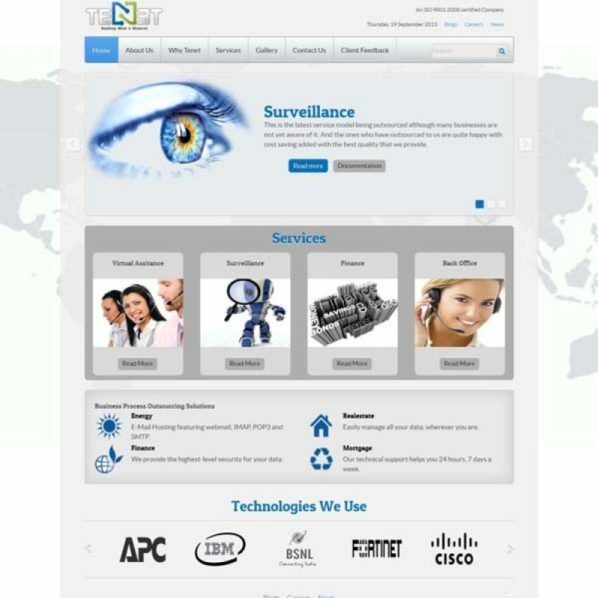 This website is developed/build in Joomla.